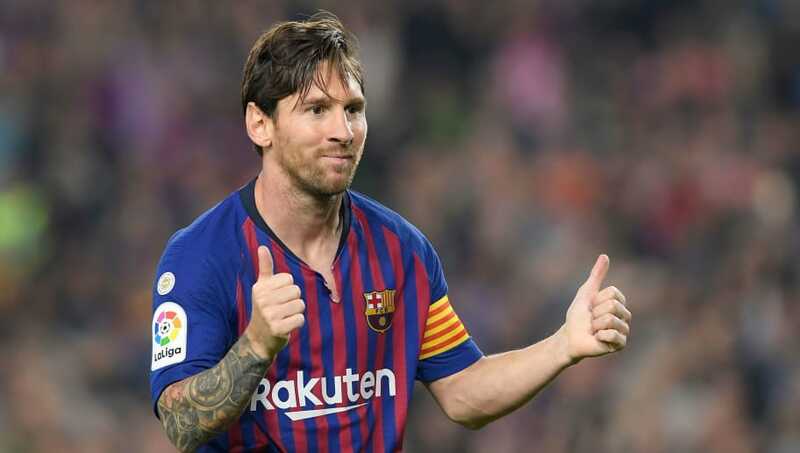 Spanish newspaper El Mundo has revealed alleged details of the incredibly lucrative offer Manchester City supposedly put forward in their attempts to try and sign Barcelona superstar Lionel Messi last year. City have been speculatively linked with an audacious move for the five-time Ballon d'Or winner for years, with the arrival of former Barcelona coach and Messi mentor Pep Guardiola only serving to heighten the gossip that it could finally happen. Quotes attributed to City chairman Khaldoon al Mubarak emerged last month suggested that the Premier League champions offered to 'triple' Messi's wages in a bid to tempt him to Manchester. The authenticity of that claim was quickly denied by the club itself, but El Mundo has now returned with further information of the numbers involved in the alleged offer. And while it seems City weren't trebling Messi's salary, the proposed deal was still monumentally lucrative. Messi was apparently offered a net annual wage of €50m (£43.9m) for five years - €250m in total. That breaks down to just over €960,000-per-week and is a big increase on the already enormous €565,000 he is thought to earn currently at Camp Nou after his latest contract. On top of that, City were said to be offering €250m (£219m) to Barcelona as a transfer fee, making him the most expensive player in history. A further €50m was also apparently promised to Messi's father and agent, Jorge, as a bonus if he could persuade his son to accept. After taking taxes into account, El Mundo estimates the total amount that City were willing to invest into signing Messi totalled an astonishing €755m over five years, the equivalent of £662m. It is said that City's interest was at its peak around the time of the controversial Catalan independence referendum that could have potentially threatened Barcelona's place in La Liga. The contact between City and the Messi camp was apparently maintained between December 2016 and November 2017, with El Mundo claiming to have had access to the numbers talked about in negotiations and the offer submitted to Messi's father. Barcelona are reported to have been aware of City's interest and offer, prompting them to increase their own offer to Messi as they were trying to tie him to a new contract at the time. Ultimately, the player rejected City and inked fresh terms at Camp Nou.